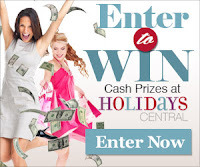 Browse » Home » Giveaways » Free Blogger Opportunity: $500 cash - Resolutions to a Better You! Free Blogger Opportunity: $500 cash - Resolutions to a Better You! Great new blogging opportunity! Readers, this will be starting after the New Year! Bloggers, please join me and say that Frugal Follies referred you!